Saturn’s rings in colour. The dark band is the main division, known as the Cassini division. 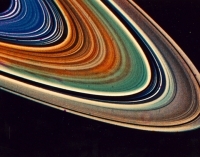 Saturn’s rings show considerable evidence of being much younger than the assumed evolutionary age of the solar system. Ganymede from about 240,000 kilometres (150,000 miles) away. This particular moon turned out to still have a strong magnetic field, contrary to original expectations. 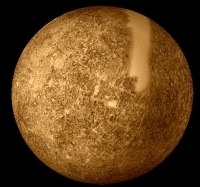 Mercury, the closest planet to the sun, taken from the Mariner 10 spacecraft. 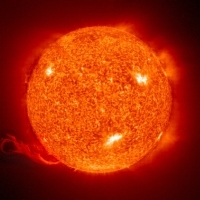 If our planet were as close to the sun, it would be far too hot for any life to exist. 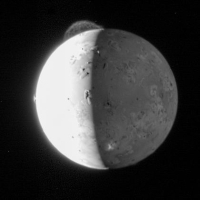 Plumes from three massive erupting volcanoes can be seen on this image of Jupiter’ moon Io: Tvashtar volcano at 11 o’clock, Prometheus volcano at 9 o’ and Masubi volcano (the bright patch towards 6 o’clock). This is a sign of heat remaining in Io’s interior. Small moons like this should have cooled off long ago if they really were billions of years old. 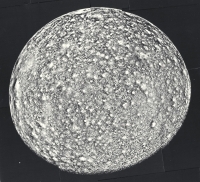 A photomosaic of Callisto, the most heavily cratered object known in the Solar System. This is made up of 9 frames from 390,000 kilometres (245,000 miles). There is widespread evidence of massive catastrophism in the Solar System. Not only do Neptune’s rings [not visible in this image, Ed.] show evidence of youth, its high level of atmospheric activity implies that it has not yet cooled off as much as ‘old-agers’ expected. Close-up of Europa from 241,000 kilometres (150,600 miles away). 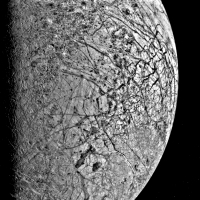 This Jovian moon has an unusually smooth (though cracked like an eggshell) surface, which implies that it may be mostly covered in ice. 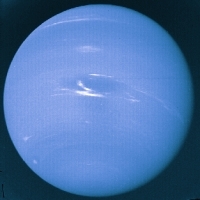 Suggestions of a sub-surface ocean of liquid water haved fuelled speculation about life having evolved there. In the last few decades, a number of exciting space ventures have provided scientists with a great deal of new information about our solar system.1 Unfortunately, such discoveries are usually interpreted in terms of an age for the solar system of billions of years and as having come about by natural processes, without input from the hand of God. Many characteristics of the Earth are quite unique, and recent discoveries underscoring this are causing a turn toward viewing planetology as a study of contrasts with Earth, not similarities to it. Some of the moons have so many craters that present processes cannot explain them, even using evolutionary time scales. An authoritative book said about Saturn’s moon Iapetus: ‘At estimated current rates it would require one thousand billion years to produce the crater density observed.’6 This implies that there must have been much higher, (i.e. catastrophic) rates of cratering in the past, which would explain how our moon, for example, can be only thousands of years old, yet have the craters it does. 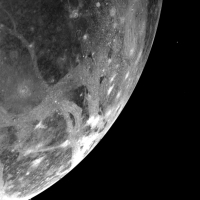 The moons of Jupiter, studied by the Galileo mission, display a surprising mix of ‘old’ and ‘young’ features. Using the assumption of uniformity (i.e. that cratering rates have always been more or less the same) older objects should be more heavily cratered than young ones. Yet here we find the moon Callisto, which is the most heavily cratered object known in the solar system, and its sister moon Europa, with the smoothest surface of all.7 Although Europa’s craters may have been filled with ice, the heavier cratering on Callisto could be the result of regional catastrophic events, with both moons the same age. The hub of our solar system—the sun. There is a competing evolutionary model for the origin of the solar system, called the Capture Theory. In this, a passing protostar, loosely held together, passes close to our Sun whose gravity pulls off a filament of the star’s material, which breaks up into segments that become six planets (not the current nine). Then two of these six collide and the asteroids, Venus, Earth, Mars, and our Moon represent either fragments of the collision or moons of the two planets that collided.11 The Capture Theory is considered unlikely by most astronomers and has unique problems of its own. Interestingly, today some catastrophes are being invoked to explain the solar system. Dr Jonathan Henry, who teaches science at Clearwater Christian College, believes the solar system evidence to be consistent with a universal catastrophe, which he associates with God’s curse on all creation (Genesis 3). Dr Henry postulates that this was when (initially rapid) radioactive and other decay processes (including of planetary magnetic fields) began. This led to enormous interior heating and volcanism. By this approach, the asteroids would be the remnants of the disintegration of a planet from such internal overheating.12 This heating could have been a trigger of some processes in the Flood of Noah. It is also possible that some asteroids were created as they are and some are the result of collisions. A solar-system-wide bombardment event of some kind would explain widespread cratering within a young universe. 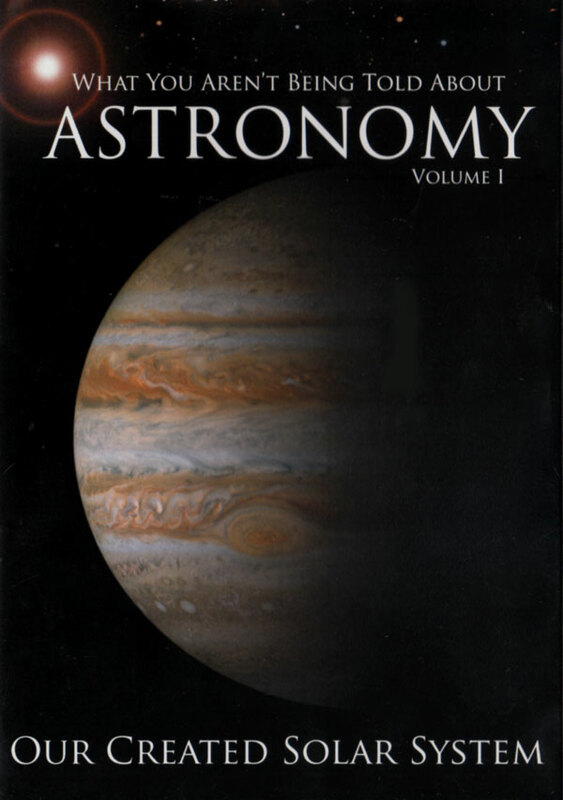 Weissman, P., and Segura, M., ‘Galileo Arrives at Jupiter’, Astronomy 24(1):36–45, January 1996. Return to text. Spencer, W.R., ‘Design and Catastrophism in the Solar System’, Proceedings of the 1992 Twin-Cities Creation Conference, pp. 164–5. Return to text. 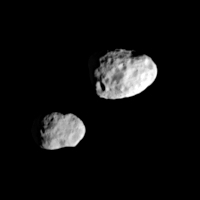 Isbell, D., and Morse, D., ‘Galileo Probe Suggests Planetary Reappraisal’, NASA Press Release Number 96–10, January 22, 1996. 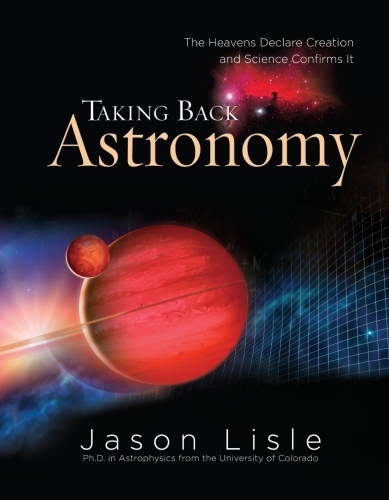 Available at jpl.nasa.gov/galileo. Because the sun is so distant, it provides little energy to Jupiter. Return to text. Kerr, R.A., ‘The Solar System’s New Diversity’, Science 265(5177):1360, 2 September 1994. Return to text. Ref.4, p. 1361. Return to text. Morrison, D., et al., ‘Satellite Geology’, Saturn, Tom Gehrels and Mildred Shapley Matthews, Editors, University of Arizona Press, p. 634, 1984. Return to text. The evidence for some cratering on Europa having been plugged up by water seems substantial. This is proposed to have come from a subsurface ocean. See also Pearce, F., Southern oceans hold key to climate, New Scientist 2076:42–45, 5 April 1997. Return to text. Reeves, H., ‘The Origin of the Solar System’, The Origin of the Solar System, S.F. Dermott, editor, John Wiley & Sons, New York, p. 9, 1978. Return to text. Another problem with the general Nebular model is in the formation of the gaseous planets. As the gas would pull together into the planets, the young Sun would pass through what is called the T-Tauri phase. In this phase the Sun would give off an intense solar wind, far more intense than the present. This solar wind would have an effect of driving excess gas and dust out of the still forming solar system and thus there would no longer be enough of the light gases left to form Jupiter and the other three giant gas planets. This would leave the four gas planets smaller than we find them today. Return to text. Ref. 8, pp. 1–3. Return to text. Ref. 2, p. 167. Return to text. 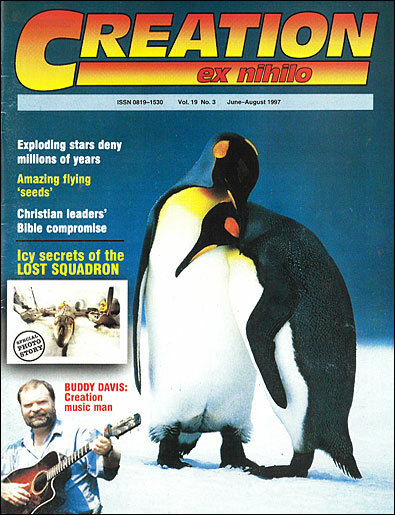 Personal communication with Creation magazine, March 13, 1996. Return to text. In fact, although the sun has over 99% of the mass of the solar system, it only has 2% of the angular momentum. Return to text.